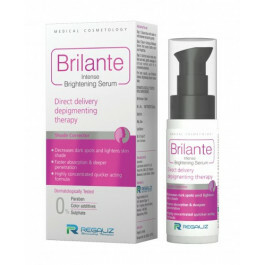 Brilante is a Dermatologically tested Intense Brightening Serum with Direct Delivery Depigmenting Therapy. Q : Does it works on pigmentation? Q : Can I use it for melasma? A : Yes it’s a very Effective serum to be used for melasma. Q : I have uneven skin tone between my face and neck, will it help in that. A : I had the same issue and with an use for like 2-3 months my problem was resolved. Q : Any specific skin type? A : This serum can be used by any skin type. Q : Do I have to use any cleanser before this serums application? A : Yes wash your face with a mild cleanser and then apply this serum with the following instruction given on that. Q : After a lot of research I came across this serum for my hyper pigmentation issue, so does it actually works? A : It’s a very effective serum and worked absolutely fine for me, I think you should go for it..
Q : How long will the 30 ml bottle last? A : With optimum use it lasts for like 13-15 days for me, but you can always go for the 50 ml variant, it lasts for about a month or so. Q : Is this a good serum for removal of anti-ageing signs? A : Yes, it actually reverses the process of ageing and helps you reducing wrinkles and fine lines. Q : Meri face aur neck area ki skin tone match nahi karti due to tanning, so kya ye serum usme help karega? A : Meko bhi yahi issue tha and iss serum ne kafi help kiya meko mere uneven skin tone pe. A : You don't need to wash. You have to massage for a minute and leave it like that. Q : I am 22....and i dont have any serious issue lyk ageing and all,but i have some spots on my face,,can i use this? ?will it be beneficial for me??? A : Yeah you can use this for spots and pigmentation. I've been using this since 20 days and i found change in my face. A : Hi i am 30+ suffering from pigmentation and I am using this product for the past 1 month but I was not regular but still my pigmentation has lightened little now again I started using regularly. Hope it will show visible results on my face. Go for it. A : Yes u can use it without any doubt!! A : so far i have not observed any changes in my dark spots on face. Better consult your doctor and follow his advice. Q : Does it good for combination type skin. 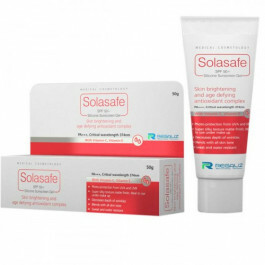 Q : I'm using belissa skin lightening ointment, is it safe to use this serum with it?? Q : After using this serum, can I put makeup on serum applied skin? A : Yes u can..
Q : Can we use this serum for underarms dark spots ? Please let me know at earliest need to order. Q : Can it apply after chemical skin peeling...??? It has worked quite well on my skin. I am going to make a second purchase today. Does it works on pigmentation? Can I use it for melasma? Yes it’s a very Effective serum to be used for melasma. I have uneven skin tone between my face and neck, will it help in that. I had the same issue and with an use for like 2-3 months my problem was resolved. This serum can be used by any skin type. Do I have to use any cleanser before this serums application? Yes wash your face with a mild cleanser and then apply this serum with the following instruction given on that. After a lot of research I came across this serum for my hyper pigmentation issue, so does it actually works? It’s a very effective serum and worked absolutely fine for me, I think you should go for it..
How long will the 30 ml bottle last? With optimum use it lasts for like 13-15 days for me, but you can always go for the 50 ml variant, it lasts for about a month or so. Is this a good serum for removal of anti-ageing signs? Yes, it actually reverses the process of ageing and helps you reducing wrinkles and fine lines. Meri face aur neck area ki skin tone match nahi karti due to tanning, so kya ye serum usme help karega? Meko bhi yahi issue tha and iss serum ne kafi help kiya meko mere uneven skin tone pe. You don't need to wash. You have to massage for a minute and leave it like that. I am 22....and i dont have any serious issue lyk ageing and all,but i have some spots on my face,,can i use this? ?will it be beneficial for me??? Yeah you can use this for spots and pigmentation. I've been using this since 20 days and i found change in my face. Hi i am 30+ suffering from pigmentation and I am using this product for the past 1 month but I was not regular but still my pigmentation has lightened little now again I started using regularly. Hope it will show visible results on my face. Go for it. Yes u can use it without any doubt!! so far i have not observed any changes in my dark spots on face. Better consult your doctor and follow his advice. Does it good for combination type skin. I'm using belissa skin lightening ointment, is it safe to use this serum with it?? After using this serum, can I put makeup on serum applied skin? Can we use this serum for underarms dark spots ? Please let me know at earliest need to order. Can it apply after chemical skin peeling...?? ?